This interview was conducted and provided by Tim Hecker. 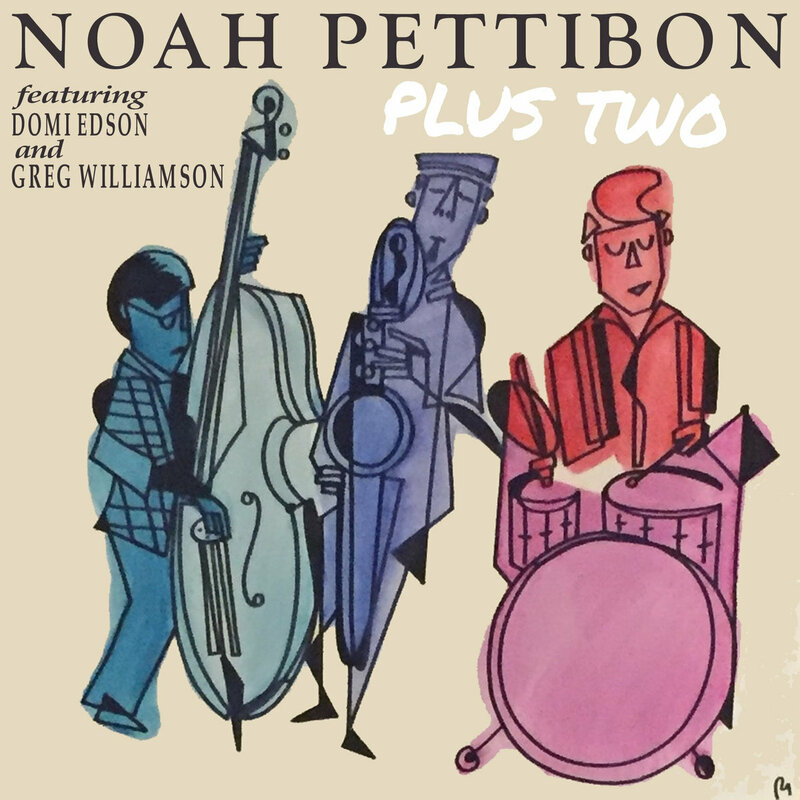 Noah Pettibon is a student at Central Washington University and young aspiring baritone saxophonist. Big thanks to Tim for conducting the interview and writing it up for us at JazzBariSax.com! First of all, what is your background in music? Who have been your mentors, teachers and inspirations? I was born in 1998 and I’m from University Place, Washington which is next to Tacoma, a suburb of Seattle. I don’t come from a musical family, but music was always playing on a speaker somewhere. I always wanted to play music. I was given piano lessons from the age of 6 until I started playing alto saxophone in my 5th grade band. I switched to tenor eventually and started getting serious about music, then began pursuing the baritone in 10th grade. I played in a few local college and community bands in high school and the following year. Just before leaving for my first year at Central Washington University, I finally picked up clarinet and actually study it classically in the studio. I am heading into my second year there and will also be studying in the composition studio. Since 9th grade, I’ve been studying privately with alto saxophonist Tracy Knoop, an 80s Berklee graduate and staple of the straight ahead scene in the Pacific Northwest. He’s had a big influence on me and, most importantly, has taught me how to teach myself! Tell me a bit about your setup? I love the arts in general. I enjoy learning about all kinds of creative mediums and crafts. I can always apply what I learn to music in some way. The internet can be an exceptionally constructive cure for boredom! Right away I hear a lot of Gerry Mulligan; were you trying to emulate a Mulligan sound and style? It’s interesting you say that. In my mind I’m actually thinking about Pepper Adams a lot, at least baritone-wise. This is kind of controversial, but I think Mulligan would have been one of my favorite musicians had he played tenor. To me he doesn’t sound at home on the baritone. That said, I do very much admire his writing, his time, his melodic sensibilities, etc. To give some credit to your observation, I was undoubtedly playing at the lighter aspects of my sound a lot of the time here. Why a trio? Was the lack of piano another cue from Mulligan, was it who was available at the time or were you just experimenting and found something that worked? Acoustically, the baritone tends to get kind of buried. The sound of the instrument is so rich and complex that it blends in with many different timbres. 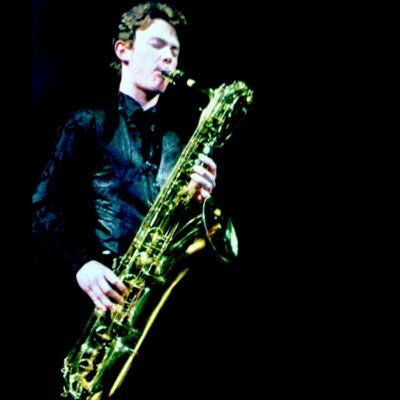 Sonically the low saxophones hold their own very well which we see being fleshed out a lot lately with solo work by artists like Colin Stetson and the like. That kind of music is not something I’m currently working on, so the best way I could see to display my sound in a straight ahead jazz setting was with this instrumentation. It was primarily an acoustic choice. Also a trio is cheaper! Tell me about your choosing the straight-ahead style; is this subgenre a personal passion for you, or a homage to things past before you forge ahead into the future? Will you continue to release albums in this style or do you plan to experiment with new blends and mediums for your sound? Like I said, the straight ahead jazz tradition is what I am focusing my studies on at the moment. It is at the core of the variety of styles of western improvised music today. I don’t think those styles could exist without it. I imagine I’ll always be playing and sharing this style of music, but I have begun putting serious effort towards expanding my palette. My musical interests are pretty diverse, and I set my standards quite high. After all, there are still so many things I’m yet to hear the baritone saxophone do! Ultimately, I want to be making music I would want to hear. No one but you can make music the exact way you would want it done! A number of the tunes on this album are ones you wrote; what is your process? Yes, two of the seven tracks are my original compositions. They say Duke Ellington wrote every day. It’s one of those things that you improve at just by doing and self-analyzing. Pepper Adams said “As a composer, I use up erasers faster than lead!” and I can also relate strongly to that. It’s like chipping marble off a massive, cumbersome block until you manage to refine it to something beautiful. Do you write for baritone specifically? It depends. Take Malocclusion for example, which is featured on this record. That was my effort to write something that could really only sound any good on baritone, using all the beautiful registers while providing a nice challenge. I don’t usually do that, though. I certainly never write with the saxophone or for it. Always on piano and with little regard for the so-called difficulty level. I would rather rise to meet the sound in my head rather write down to my abilities. Tell me about some of your influences and favorite composers? There are so many prolific writers across all of music, especially in this genre! If I had to name a few favorites, they’d be Thad Jones, Billy Strayhorn, Benny Golson, Vernon Duke, etc. When I was very young playing piano initially and thinking critically about music for the first time, I always gravitated towards Beethoven very heavily. Such passion and emotion behind every note! It’s not about the theory (although that aspect is beautiful too) but about how the music is being played! What’s the story behind Dunning-Kruger Blues? It’s kind of a convoluted story. It was originally an untitled 4-horn septet tune I was working on with my combo at CWU. One of the local guys, a wonderful flugelhorn player named Dmitri Matheny, came as a guest artist and performed with all the combos in the program. Since I’m rather poor with titles, I asked him for suggestions. He made note of the fact that the music looks rather difficult on the page, yet lays surprisingly well. He connected that observation to something called the Dunning-Kruger Effect, which I just recommend googling. To be honest, the rationale is rather shaky. Really, it’s just something to call the tune! What do you want people to take from this album? Is there a personal meaning for you that might be different than others’ interpretations? There’s no special message behind the music. I wasn’t trying to make a killin’ barn-burner record. I’m just excited and proud to be someone who’s barely 20 playing straight ahead as well as I know how. It’s not paying homage and it’s not looking to the future. It’s simply what’s happening right now! Metal Bari or Bari Metal? Impressive yet, not surprising, well done, Noah. Please keep the sentence “I would rather rise to meet the sound in my head,” … and fix it (typo later)? and keep for marketing forever.